Forced by gambling debts to write a novel in a month, Fyodor Dostoevsky hires a stenographer, Anna Snitkina, but the two are haunted by the specter of another woman who figures both in his novel and his life. 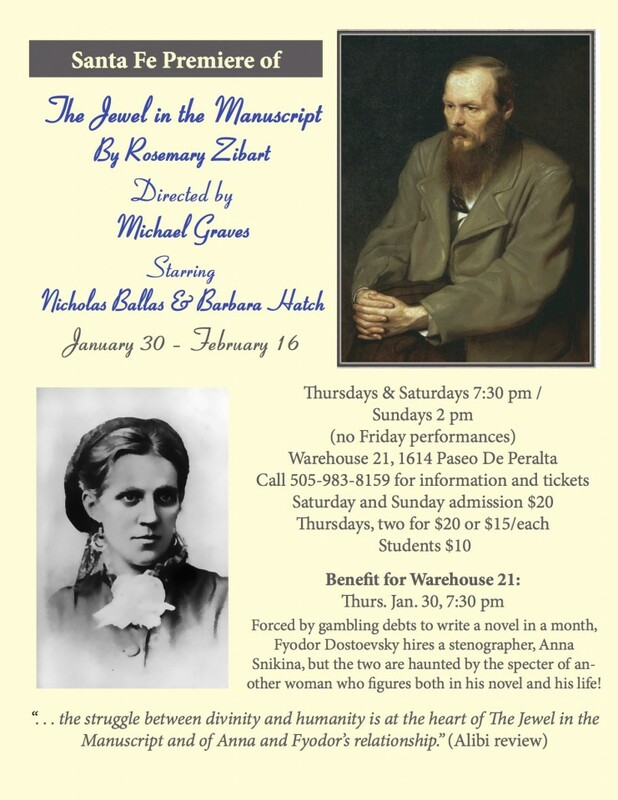 The Jewel in the Manuscript is a new play by award-winning local playwright, Rosemary Zibart. With an all local and extraordinary cast. Dostoevsky played by Nicholas Ballas and Barbara Hatch as Anna Snitkina. Directed by Michael Graves.